*Govinda slaps man. Man slaps Govinda with a case. * Govinda\'s lawyers claimed the video of Govinda slapping Santosh was morphed, probably because of his flowery coat. * Santosh Rai insists \'slapgate\' has played a major role in ensuring his singledom. * After 8 years, Govinda accepts his fault (after a nudge from Supreme Court). Ready to apologise, pay compensation. The year was 2008. Bollywood had seen massive hits like Ghajini, and epic sh*ts like Drona. We witnessed the debut of Imraan Khan (Jaane Tu Ya Jaane Na), revelled in the jewellery of Jodha Akbar, survived Priyanka Chopra's sci-fi non-thriller (Love Story 2050), had to cope with the birth of yet another 'actor', Kamaal R Khan, with the nausea-inducing Deshdrohi. All in all 2008 was a lopsided affair, with the losses ranking way higher than the wins. As the final nail in the coffin of the wonderful year we were already witnessing, was the downfall of (almost) every 90s' kid's favourite Bollywood actor, Govinda. Because back then cheesy films were dominated by the holy trinity - Govinda-David Dhawan-Karishma Kapoor. Their histrionics were the stuff legendary memes are made of. They were so bad, they were brilliant. By the time age, terrible clothes and OTT makeup/hair caught up with him, Govinda was doing on-the-verge-of B-grade films. It was at the set of one such movie, Money Hai Toh Honey Hai - starring all those who couldn't find a better film - that Govinda 'lost his cool' and slapped a 'fan'. What happened next will not shock you. The legal saga that followed was lapped up voraciously by the paparazzi, and the readers, and termed as Slapgate. 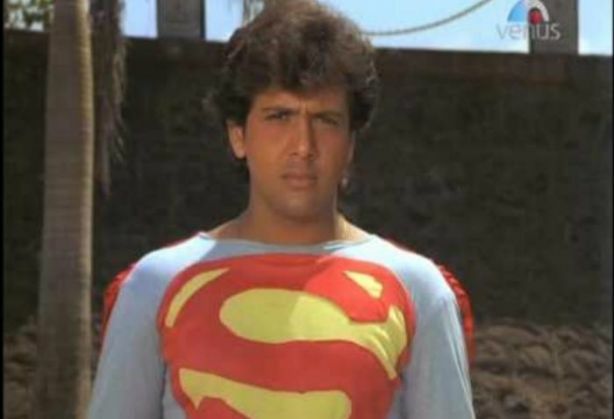 Govinda was after all a Congress MP back then. A year later, Santosh Rai, the man Govinda had slapped woke up to his humiliation and 'slapped' a case on the actor on the grounds of assault and intimidation. Rai's counsel wanted him to face a criminal trial under section 506 IPC (criminal intimidation) and sections 323 and 353 IPC (using criminal force to cause hurt). Wait. Watch it on loop. 2013: Four years later, Bombay High Court quashed Rai's complaint saying it wasn't a case of criminal intimidation. The bench also questioned the motive behind filing the complaint a year later. Justice Tahaliyani asked "where is the allegation of criminal intimidation? The court is not going to imagine that the petitioner (Govinda) had threatened you (Rai). There is no material of criminal intimidation in the complaint. How are you (Rai) going to prove criminal intimidation." As Rai's lawyers could not provide proper justification, the court quashed the case. 2014: Rai waited for 2013 to end before to take his appeal to the Supreme Court. 2015: Justice TS Thakur didn't care for Justice Tahaliyani's ruling and declared that Govinda's slap-and-run wouldn't be tolerated. "We enjoy your films, but cannot tolerate you slapping somebody," said the judge. Seven years after he'd slapped the man, Govinda was asked to apologise. 2016: Probably exhausted by now, Govinda, now 52-years-old, has offered an 'unconditional apology and Rs 5 lakhs as compensation' to Santosh Rai in court. The judges' bench has asked the actor to seal the deal, by meet Rai within the next two weeks and negotiate the settlement.